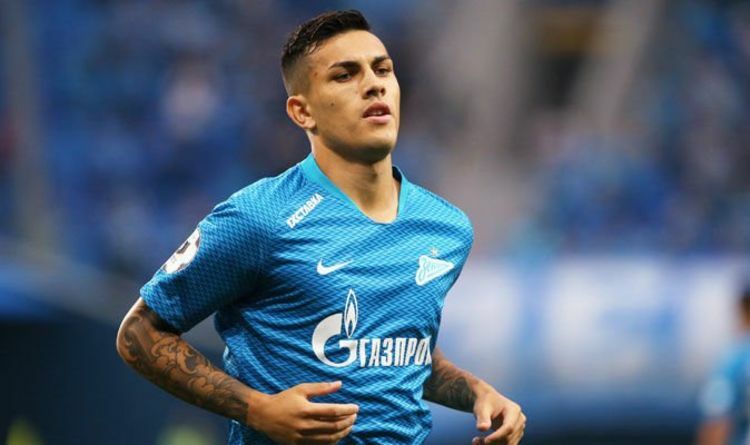 Chelsea have agreed a deal with Zenit to sign Paredes as they look to replace Cesc Fabregas. But the club are still debating whether to sign him or Nicola Barella this month. Reports this morning claimed a deal for Paredes was closer than Barella and the midfielder has now dropped a hint on social media. He retweeted a tweet to his 141,000 followers that included a ‘welcome to Chelsea video’. The original message was someone asking ‘Nicolo Barella or Leandro Paredes??’. And one fan replied ‘Leandro Paredes, no debate’ with the video showing off his highlights. And Paredes retweeted that despite not having his handle mentioned in the tweet. That would suggest a move is close with suggestions a deal could be wrapped up this weekend. Fabregas was allowed to leave this week, joining Monaco for £10m, and Maurzio Sarri would like to replace him.